After just 18 months since buying an initial SkyVac from Spinaclean, our American dealers have opened a brand new 1,800 sq ft office in Apex North Carolina. Designed especially for the needs of their growing customer base, the new office boasts a spacious training room, large showroom and conference rooms, allowing staff to train individuals eager to start their own cleaning business. After visiting Spinaclean’s head office and our large training facilities in Northampton, Garrett McAlister, Managing Director at SkyVac USA, quickly saw the growth potential for his business, and was keen to mimic the design to create a valuable space for his American clientele. The first few training days, hosted this year in at the new USA HQ were a great success, receiving 100% positive feedback and with every individual purchasing a start-up package. Since SkyVac USA first launched they have gone from strength to strength. Originally purchasing two SkyVac demo units, they now bring the systems in by the container load and have already attended three industry trade shows, where they received an enormous amount of interest in the SkyVac range. After the success of selling SkyVac, the world’s leading gutter cleaning machine, the US team have now adopted Spinaclean’s SkyVac internal and Atex systems, for workplaces susceptible to dust explosions. This year has seen the business sell into several large Fourtune 500 companies, including Target, the second largest discount store retailer in the US as well as a range of commercial cleaning contractors. 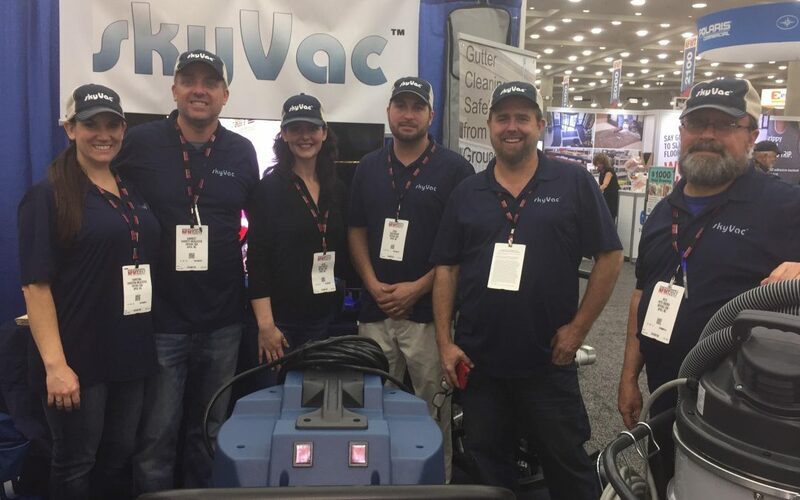 Garett commented, “We are thrilled with the direction SkyVac USA is heading. From the moment we brought our very first SkyVac from Spinaclean, they have supported us and ultimately helped to get our business off the ground.